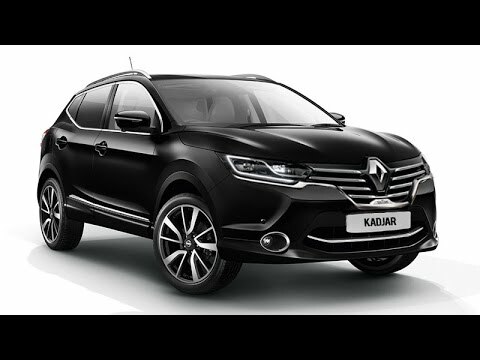 The Renault Kadjar shares many components with the Nissan Qashqai; thanks to the Renault-Nissan Alliance, and is looking to offer something similar to the popular Qashqai. The Kadjar was formally revealed to the public at the Geneva motor show in March; French carmaker Renault has announced prices for the Renault Kadjar for the UK market. Before it goes on sale in Europe in the autumn, everything visible is different to the Nissan Qashqai, but the underpinnings are the same. The Captur’s bigger brother starts retailing at £17,995 (INR 17.68 lakh) and goes up to £26,295 (INR 25.84 lakh). While bookings open in the UK in July, deliveries will commence in September and production of the Kadjar will take place in the company’s Spanish plant. The Kadjar is slightly larger than the Qashqai: it is 4.45m long, 1.84m wide and is 1.6m high. This means it offers a slightly larger boot than the Qashqai’s – it is 42 litres larger at 472 litres with the seats in place. Alright, Kadjar is making the engine displacement in three different variants. The 108bhp 1.5-litre diesel is the most economical model offered, with emissions of 99g/km and fuel economy of 74.3mpg. Final performance figures are not yet confirmed, but it is expected to offer much the same levels as the Qashqai, with 0-62mph coming in 11.9sec. The 128bhp 1.6-litre is set to make it from 0-62mph in 9.9sec and emits 115g/km and averages 64mpg. Performance and economy figures are set to be largely similar for both automatic and manual versions. A 128bhp 1.2-litre TCe petrol will also be offered. There are four trim levels. Expression +, Dynamique Nav, Dynamique S Nav and Signature Nav. All models get engine stop-start, fog lights, digital instrument panel, Bluetooth, DAB radio and air conditioning. Dynamique Nav gets keyless entry and start, lane-departure warning, an uprated audio system and navigation. Dynaique S Nav models get half-leather trim, larger alloy wheels, front and rear parking sensors and electric mirrors. Signature Nav models get a LED headlights, a panoramic roof, full-leather seats and a BOSE sound system in addition.